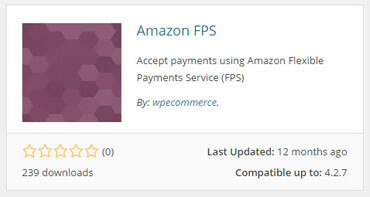 This newer payment method has some potential, especially for authors or businesses already selling their books on Amazon but at this time adoption in the WordPress community is limited. 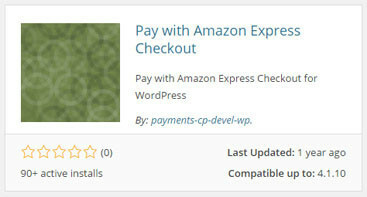 After a little searching, we uncovered just a few WordPress plugins that seem to integrate with Amazon Payments. Integrating with WooCommerce, it allows customers to pay with the information already stored in their Amazon account. It’s fast, easy, secure, helps to add new customers, increase sales, and reduce fraud costs. Easy to install, seamless customer experience – they never leave your site. Customers login to their Amazon account, specify shipping address and payment method, then confirm their order. 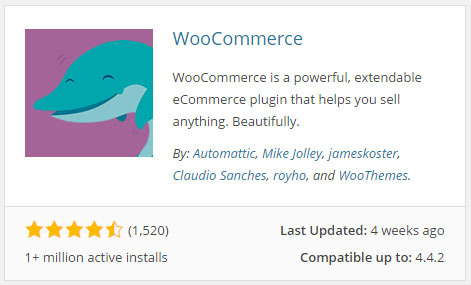 In reviewing the WordPress Plugin Directory, only two other Amazon Specific plugins were available; there is a third from Tips And Tricks HQ but it appears to be unavailable at this time. In addition to limited options, they haven’t been updated in some time, have no reviews and relatively few downloads and installs.